Carboxymethyl cellulose (CMC) has been broadly used in various fields ranging from pharmacy to lithium batteries because of its excellent properties such as the environmental friendliness, the good solubility, its low cost and biocompatibility. 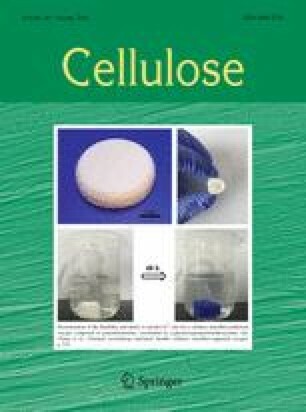 Herein, we present a direct electrodeposition method for carboxymethyl cellulose based on the coordination deposition. Using this method we can conveniently build smooth and homogeneous CMC films on the surface of copper and silver electrodes (or substrates). On the other hand, the deposited CMC film has sufficient strength to be completely detached from the electrodes (or substrates), which enables a novel and controllable method to prepare CMC films that can be used as independent film materials. In particular, the deposited CMC film shows favorable antibacterial activities, which are promising for applications in bioactive antibacterial coatings on metal substrates. More interestingly, the CMC electrodeposition provides the possibility to directly build sensors and detectors for electrochemical detection. Therefore, the CMC electrodeposition developed in this study can be potentially applied in surface coatings, functional films, and sensors. This work was supported by the Fundamental Research Funds for the Central Universities (WUT: 2017-zy-007; WUT: 2017-CL-B1-12) and the Students Innovation and Entrepreneurship Training Program (20171049701010).